What you see here is not legal advice for any specific situation, but rather is general information that we are discussing. In no way is the content of this blog to be deemed to be legal advice, everything discussed in this blog is on a generality, to obtain leagal advice to your particular situation, please contact our office to schedule a free consultation to discuss the specific facts of your case. When it comes to planning for the future, you may think of estate planning as something that is beyond your means or simply a service that only the top one percent really need. On the other hand, some believe that only the elderly or infirm need to think about wills. For them, time is always on their side and they’ll get around to the paperwork if there’s ever a need. In reality, estate planning is not simply for the wealthy – if you’ve built a life for your family then chances are you have assets you would like to pass on to them in order to provide for their future. Moreover, even if you are relatively youthful and healthy, life has a way of throwing curveballs and having a plan in place before you’re hit with a situation ensures that your wishes are carried out and your family’s security remains intact. That kind of peace of mind is priceless. Funeral or memorial service preparation for a loved one is a daunting task. With estate planning, you can set the parameters for your own service and even arrange funds to cover costs. If you find yourself in circumstances where you are no longer able to make decisions, with an estate plan in place your wishes are clearly defined and there are resources to care for you and your loved ones. In the event of your death, an estate plan provides clarity by outlining your assets and who you have determined will receive them. If you own a business, an estate plan comes in handy as you can ensure that your business is placed in the capable hands of your choosing. An estate plan can help you safeguard family members with disabilities and guarantee that any special needs are addressed in your absence. An estate plan can also support your loved ones by allowing you to develop a plan to avoid unnecessary taxation of your estate assets. Patton Law, P.A. understands that families are busy these days. If you’re not running from work to soccer practice, back to work then to pick up the kids from one friend’s house or another, and don’t forget the dry cleaning and to snag something for dinner, you’re just not living on planet earth! We’re all moving at a hefty pace with little downtime to consider what we want for our families, and how we can ensure they are well cared for even if we’re not around. That’s where we come in. For a limited time only, Patton Law is pleased to offer a Family Futures Estate Planning Program that is valid through October 31, 2018. Attorney Adam Patton wants to help your family prepare for the future in the most efficient and effective manner. He will walk you through the process, answer any questions you have, and help you to make the tough decisions that make all the difference. Designates where your assets should be distributed, who should care for children, how and when the assets should be distributed as well as your last wishes. A document that plans for potential incapacity. This creates an agent relationship whereby the designated agent, (often not actually an attorney) is given authorization to act on behalf of the person signing. A document naming another person as your representative to make medical decisions for you if you are unable to make them yourself. You can include instructions about any treatment you want or do not want and other corrective issues before losing the ability to make those choices. Similar to a Durable Power of Attorney but makes your healthcare wishes known prior to the issue arising. This can alleviate the pain associated with making those hard decisions because the Agent already knows your position on this. For example, it is much easier for a child to allow for organ harvest and do not resuscitate if their parent has already indicated this is her desire. Take advantage of this amazing opportunity to seal your family’s future with estate planning services from Patton Law, P.A. Call us to schedule your free consultation with Lakeland attorney Adam Patton. Don’t delay – Patton Law’s Family Futures Estate Planning Program ends on October 31, 2018. Leave the paperwork to us and enjoy life with your loved ones, knowing you’ve done all you can to protect them. Patton Law’s Summer Safety Tips Part 3: Goodbye Summer Vacation, Hello Back to School Prep! It’s about that time. Summer vacation is quickly coming to an end and we’re feeling the pressure to help our little ones prepare to head back to school for another year of learning. While this can be a happy time of anticipation for a great year, this process is often full of anxiety for both parents and kids. And when we’re stressed out, family life through summer’s end can be a tough transition that negatively impacts the start of the school year. 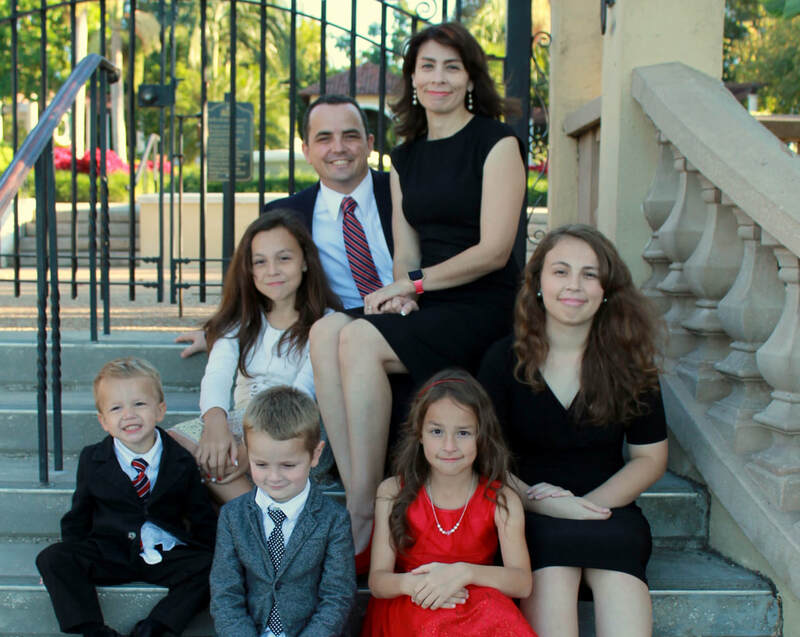 With five children of his own to prepare for school, Lakeland attorney Adam Patton and his family are well aware of the trials you may be facing. Plus, Adam is a firm supporter of education within the Polk County school system. In fact, last year Patton Law was pleased to provide scholarships for students interested in careers in a legal field. In addition to scholarships, Adam also volunteered and made presentations at two Lakeland High Schools. His message promoted empowerment through education and encouraged the kids to work towards their dreams for a better future. It’s this type of dedication to the community that makes Adam and his team at Patton Law the right choice for Lakeland, Winter Haven, Auburndale and Bartow residents in need of legal assistance. To help your family prepare to bid a fond farewell to summer vacation and welcome the start of the school year in peace, we’ve put together our list of tips from the family law experts at Patton Law, P.A. These suggestions have helped our group care for our families when it comes to back to school preparation, and we hope it helps your family. Summer vacation means children get to take a needed break from homework and tests, and spend time with family and have some fun. This tends to include later than usual bedtimes, sleeping in, sleepovers with friends, vacations, and more! With all this fun happening, typical routines fly out the window and the summer flow takes over. Getting back into the routine of the school-year bedtime, getting up early, eating a healthy breakfast, doing homework, and more can be a shock to the system for children and their parents. Patton Law suggests easing into the routine several weeks before school starts. Perhaps instituting one new element of the school-year routine each week. This lessens the burden of adjusting to the new schedule, allowing for an easier transition. Waiting until the last minute to purchase school supplies can definitely get the blood pressure rising and that stress vein popping on dad’s forehead! While you might not have the complete list in hand at this point, we all know the basic supplies that most children need. Watching for school supply deals, and setting aside money in advance to purchase supplies and needed back to school clothing, can reduce the stress and worry most parents face at the start of the school year. Your children will also feel relief knowing that they have everything they need and they will start to get excited about the idea of going back to school. School shopping is a costly event for most families. Whether your children attend schools that require uniforms or not – school clothes are expensive! Thankfully, the State of Florida offers a tax-free weekend. You can save the sales tax (restrictions apply) on school clothes, shoes, some accessories and most school supplies for three days only, August 3-5, 2018. In addition, sign up for your favorite department stores’ online notifications and coupon alerts to give you that extra help in purchasing at the right time. Attending school orientation with your children gives them a sense of security and eases any anxiety about meeting new teachers and seeing their new school environments. This is especially true when your children are starting a new school. School orientation is an important opportunity for you to meet their teachers, exchange contact information, and discuss your children. You’ll also see their classroom and understand the environment your children will be exposed to on a daily basis. We’ve saved the best for last – talk to your children and listen to their concerns or thoughts about starting a new school year. This is possibly the most important tip on our list. Ask them questions about what they think of their schools, teachers, and potential classmates. Ask if they have any fears about the upcoming year and what you can do to help. Listen closely to their answers and assist them in making plans to overcome challenges. From all of us at Patton Law, P.A., we hope your summer vacation was terrific – filled with sunny days, fun activities, and lots of time with family and friends – a summer to remember for years to come! We also wish you and your family a wonderful back to school experience, with less anxiety and more excitement about learning and the future. Contact Patton Law, P.A. to Schedule a Free Initial Consultation. When the weather heats up, Floridians hit the water to cool down and spend quality time with family. Whether you prefer the ocean, freshwater lakes, springs or rivers – Florida has an abundant supply for a splish-splash of a good time. With the summer season in high swing, we’ve got tons of long hours of sun-filled days ahead of us. It’s the perfect time to pick your favorite body of water and set out for a day on the boat. However, boating in Florida can also present hazards that end in personal injuries, as well as violations of boating regulations that could have legal consequences – all of which ruins a good time out on the water. Patton Law, P.A. wants to help you prepare for summer fun and avoid unnecessary dangers, so part two of our summer safety tips series has some helpful hints on how to keep yourself safe from boating hazards and not risk legal ramifications. Many first-time boaters take for granted how serious it is to operate a boat, and how quickly dangers can pop up. It’s so serious that Florida now requires anyone operating a boat, with a motor of 10 or more horsepower and who was born after January 1, 1988, to take a state-approved boating safety course and hold a valid Boating Safety Education ID Card. Even if you miss the age requirement, it’s a great idea to take the course anyway so that you operate safely out on the water. Florida also requires that boaters have at a minimum a standard supply of safety equipment on board and in good working order. The list for most recreational boats includes but is not limited to, personal flotation devices (one for each person on the boat at any given time and they must be US Coast Guard/USCG approved), a working USCG-approved fire extinguisher, some sort of device to make noise so that other vessels who may not see you at first will hear you (a horn or loud whistle), adequate lighting, and more. For a complete list, click here. Most boating accidents happen because the driver of the boat simply isn’t paying attention. Just like texting while driving a vehicle is a bad idea, texting and operating a boat is a terrible idea that leads to accidents. Make sure that you secure items in your boat before taking off, and also ensure that all passengers are safely seated. These precautions can eliminate unnecessary distractions for boat drivers. While it’s not illegal to have open containers of alcohol on a boat while you’re using it, it is against the law for the operator of the boat to have a blood alcohol level of 0.08 or higher. Since alcohol is one of the leading causes of boating accidents and even fatal injuries, it is not taken lightly if you are found operating a boat while under the influence. If you are caught, it can mean heavy fines and even jail time. Even worse, it could end in a serious injury. If you do get charged with boating under the influence, Patton Law is here to help – contact us for more information. Boaters are typically courteous folks looking to have a great day on the water. Be kind and polite – look out for fellow boaters’ interests and follow all posted regulations. This may seem simple, but it’s often that following the easy reminders saves us a world of trouble. If you have a legal concern regarding a boating incident or accident, Patton Law, P.A. is here to help with any questions or concerns you may have. Please give us a call for a free consultation to discuss your legal needs. We are conveniently located in South Lakeland, a short drive from Winter Haven, Bartow or Tampa. We hope your summer 2018 is one to remember – not because of a boating incident, but because you had such an amazing time enjoying the great outdoors. From all of us at Patton Law, P.A., be safe and have a great summer! Summertime in Florida means fun outdoor activities for the whole family from sun up to lights out. With the kids out of school, there are a myriad of opportunities for families to get together and have a good time. At Patton Law, P.A., we love our community and want your 2018 summer to be the best ever – filled with tons of sunny days at the beach, on the water, or out and about enjoying your favorite hobby. However, when it comes to the summer fun, injuries can happen at a moment’s notice. Attorney Adam Patton firmly believes that it’s important to be aware of the dangers and get prepared for summer in order to avoid unnecessary issues that can ruin a good time. To help you prepare for a safe summer, here are Patton Law’s top safety tips for tons of fun-in-the-sun! The Summer Sun is intense in the Sunshine State, but that doesn’t mean you can’t enjoy endless hours outdoors. Remember to slather on the sunscreen and re-apply frequently as instructed on the bottle. You can also think ahead and add that extra layer by wearing protective clothing. Just throw on your favorite hat, long-sleeve t-shirt, or bathing suit cover-up for additional protection. And, don’t forget to rock your favorite shades – sunglasses protect your eyes and help you see clearer. The heat of Summer can create some serious health issues if you’re not prepared. One of the biggest mistakes folks make is not drinking enough water. Patton Law’s recommendation? Hydrate, Hydrate, Hydrate! Water is essential, especially for children, so keep nice and cool water bottles nearby and make sure your loved ones are regularly taking a break from play to drink a little H2O. Another hot topic to remember is: never leave a child or pet in a hot vehicle. It doesn’t take long for the heat to rise, which can end in a serious injury or worse. Florida is surrounded by water and offers adventurous activities for all water bugs. To keep the good times rolling, Patton Law advises that you and your loved ones know how to swim like a fish! It’s vital to teach your kids to swim at an early age in order to avoid unfortunate drownings. Summer swimming lessons are easy to find and it’s a fun activity for all involved. Keep a watchful eye on your loved ones at all times when you’re enjoying a day on the water or by the pool. Never leave a child unattended by a body of water. Proper adult supervision can mean the difference in having an amazing day with the family or suffering a horrible loss. Summer is the perfect time to discover Florida’s lakes, rivers, springs and oceans, but always know your environment and put safety first. Wherever you go, pay attention to signage alerting you to dangers. Be on the lookout for wildlife and information on currents or other dangers that nature presents. Patton Law, P.A. is here to help with any legal questions or concerns you may have. Please give us a call for a free consultation to discuss your legal needs. We are conveniently located in South Lakeland, a short drive from Winter Haven, Bartow or Tampa. Best wishes for a great summer with your loved ones! If you’re like most folks, you didn’t grow up with a “silver spoon” and you had to work for everything you have achieved in life. Working hard, building your life and your estate, and watching your family grow and flourish are all part of the challenges that give life meaning. Protecting these assets, especially your most precious valuables – your loved ones – grows ever more important the older you get. Since providing for them has been a focus for your life, you want to ensure that they are well cared for in the event you are no longer able to care for them. These are the concerns that parents and grandparents face as they take in the grand nature of life, the beauty of the families they’ve built, and the desire to leave a lasting legacy for them. However, for most, they often don’t consider finding a family attorney they can turn to in order to help them plan for whatever the future brings. Many consider this as a concept that is only available for the elite. This is not so when it comes to Patton Law, P.A. Attorney Adam Patton is a family man at heart. He understands what it means to cherish your loved ones and the desire to take care of them long after you’re gone. Like you, Adam wasn’t born with a silver spoon in his mouth – he’s worked hard for all that he has in life. He applies this same work ethic and understanding to helping clients plan for their futures. Adam prides himself on being a real attorney fighting for real people. As such, he developed his law practice to help regular people who have worked hard to build the lives they want. He can serve as your family attorney, available to assist with any legal concern that comes your way. At a minimum, family heads should give serious consideration to legal help with basic estate planning and wills. Adam and his team of legal professionals offer services you can trust for protecting your assets and the future stability of your loved ones. His team will walk you through the process and ensure that you understand the choices in front of you and that all documents are prepared accurately. He will stand by you and your family as your attorney fighting for you. If you are interested in obtaining a family lawyer to assist you with your legal concerns, contact the Lakeland office of Patton Law today. We offer a complimentary consultation with lawyer Adam Patton to discuss your legal needs. To schedule your free initial meeting with Patton Law, P.A., please call 863-225-3550 or email pattonlawpa@gmail.com. You’ve seen their billboards. You’ve heard their radio ads. You even know their slogans by heart. The question is, are these valid reasons to choose an attorney to represent you in an important legal matter? The short answer: no. Just because our highways, radio stations and digital media are inundated with the advertising and marketing of the big-name lawyers in town, doesn’t mean they are actually going to fight for you and what’s in your best interests. Lakeland attorney Adam Patton believes that all of his clients deserve a lawyer with unshakable values to represent them with integrity, intelligence and ingenuity. These principles guide his approach to the practice of law, and stem from deep beliefs and a desire to promote positive change within his community and for his family. Adam wanted to do just that – make the world a better place by becoming an attorney with the ability to move legal “mountains” for people and communities. He understood from a young age that to be a real attorney requires more than just a law degree. While it is a powerful field, that power must be tempered with solid principles. Most recently, Adam got involved by purchasing new uniforms for Kathleen High School’s Girls’ Soccer Team. “It wasn’t a huge investment, but it made the kids feel like someone cared to invest in them,” said Adam. Patton Law has also sponsored a scholarship program for students from George Jenkins and Kathleen who want to pursue a legal career. Another principle that is paramount to Adam’s success as a lawyer is intelligence. Adam said that this “means more than just attaining knowledge. Intelligence involves the application of knowledge and experience – perhaps better described as wisdom.” He uses the wisdom he has acquired over the years to provide intelligent arguments in behalf of his clients. The final guiding principle of Patton Law is ingenuity. For Adam, this means going outside his normal realm of operations in order to “try something different if it’s in the best interests of the client.” This includes the use of technology within his practice. Patton Law offers a client portal for easy access to important documents and the latest updates on their cases. Clients can access their case information with the assurance that this technology is secure and their case details are safe. When it comes to choosing an attorney for a legal issue in Polk County – whether you are facing a Family Law matter, Personal Injury case, or a Criminal Charge – choose a Lakeland attorney who will fight for you as he would for his own family. Attorney Adam Patton will use integrity, intelligence and ingenuity to move mountains for you and your family. To schedule a complimentary consultation with Patton Law, please call 863-225-3550. When I was about 8 years old I remember being in my first car accident. No It was not because I was an 8 year old driving a car. I was driving with my grandfather to get some ice cream and root beer from the grocery store "up the street" so we could make dessert for the rest of the grand kids. I felt special to be the one that go to go with him to get the supplies. He let me sit up front, and his car had electric windows that I loved to play with. That night it was dark and cold. We had pulled up to the intersection to make a right hand turn into the store. The car in front of us had about 50 helium balloons in the back seat, completely blocking the drivers view of us behind her. Apparently the driver of the other car had gone beyond the stop bar while the light was green, and decided to back up after the light turned red. I remember her reverse lights coming on and instantly knowing that something was not right. My grandfathers strong arm reached across the passenger seat to secure me in place as we braced for impact. She did not see us there, and by the time she realized that we were honking at her it was too late. The damage was minimal, both cars had old fashioned bumpers on them that really hadn't been scratched, but my grandfather had to replace a head light. The driver ahead felt horrible, and even worse when she realized there was a child in the car. A local police officer was close by, he quickly helped secure the scene, write a report and helped us all on our way. My grandfather did all he could to protect me then, when the accident was slight and we could all see it coming in slow motion. Most accidents don't happen that way, and usually there are a lot of things going through your head all at once to process. I've complied from a number of sources the following lists of things to do before and after an accident. 1. Prepare a paperwork packet to get to easily. This would have a copy of your registration and insurance, phone number or card of your agent, a note pad and pen and if you have one the number for your family lawyer. 2. Prepare a packet of things for your trunk. Cones or flares to help divert traffic, snacks and water bottle in case you our small passengers need something because of the delay. 3. A cell phone and camera. 4. A plan as to who to contact to let them know what the situation is. This can be critical, and a great thing to prepare for. When I got my drivers license, I was told that if or when I got into an accident, I was to call my Dad first. When I got into my first accident, guess what the only thing I remembered was? Call Dad. That helped me through the rest of the incident. 5. First Aid kit and basic first aid course. Sometimes you are the first responder to an accident. having a basic knowledge of what to do in an emergency can be invaluable. Also having a basic kit in the car can help in any situation. 1. STAY CALM. No seriously. Take a deep breathe and assess the situation. It will not help you to jump out and yell at someone. Take a second and collect yourself, whether you are involved in the accident or a witness. 2. Assess the situation. Are you obviously injured or bleeding? Are your passengers all right? Is your car smoking and about to catch fire? Calmly seeing what is going on can help more than you know. 3. Stay in your car and do not leave the scene of the accident. Unless there is a major emergency, this is the best place to be. You are less likely to be seriously injured in a vehicle on pedestrian accident inside your car. A good friend was an over the road truck driver. He witnessed a accident and got out or his truck to assist. Before he got to the accident, another truck hit him at highway speeds. The man is lucky to be alive today. So unless there is a fire, or the police have arrived and secured the scene, stay put. 4. Report the accident. This involves that cell phone from earlier. In Florida, you can decide to have a law enforcement officer file a report or not later, but having them there will help to make sure that there is nothing wrong, ie, oil or coolant pouring out of the engine compartment that you think is fine or other safety issues. They are trained in this stuff, let them do their job. 5. Exchange information. Once the scene is safe, get out and exchange information if you are able to. Having things prepared in your car already is great, or use the note pad to write down yours for them. Name, Address, Phone numbers, Driver's License number, Insurance information, Make model of vehicle. Any information that would be useful to help you describe the situation later. 6. Photograph and document what happened. Again that cell phone, use the camera to document what happened, use the voice recorder to say what you remember happening, use the note pad to jot some things down. You probably won't remember later and everything feels like it is happening so fast. 7. Assess injuries, but do not share them. Often injuries go unnoticed because of an adrenaline rush or other situation. If asked if you are hurt, be honest, but also realize you probably don't know for sure yet. You may be in shock, or just not feel it yet. When I played football, I got clocked on a punt return. Helmet to helmet, big linebacker knocked me off me feet. Coach asked if I was hurt and I said I was not, but I sure hurt in the morning. "I am not sure", or "I am still a little shaken up" are perfectly honest answers that allow you to take some time to see how you really are doing. This is not the time to show how tough you are. ​8. Receive medial treatment. Again, like talking to the Officer, these people have gone through a ton of training to assess peoples injuries. Let them do their job. You don't know what to look for, and if you do, you should not be practicing on yourself. This does not mean you have to ride away in an ambulance, but at the very least get in to see your doctor the next day. It will help to know that either you are or are not hurt. 9. Don't claim responsibility. You may feel like it was your fault, you may think it was your fault, but it may not be your fault. On the flip side, you may think it was the other guys fault, and start screaming that and it only makes the situation worse. The officer, who again is trained to determine what happened and who is at fault will make that determination. Sometime, both parties are at fault and sometimes neither are. Let them do their job. 10. Report the accident to your insurance company. You pay for them for this reason. They will be able to help you sooner if they know about the situation. Contact your Lawyer; Having a family lawyer can be valuable here. Just like I called my Dad, calling another person, who knows what to do, and is a little separated from the situation can help you navigate through the mess. Count your blessings; According to asirt.org, nearly 1.3 million people die in car accidents each year. If you are able to go through that checklist, be grateful that you aren't of that number. Again, not legal advice for your specific case, just some thoughts on how to better handle a car accident. Injunctions what should I be filing? When you are looking to file an injunction for protection you often find yourself sitting at the courthouse, with a form in front of you asking you to put all the information down to protect you or your family from a threat that you feel is all too real. There are a number of things to consider when you are filling out this document. First, what are you filing and why? Filing the right form is often critical to you. Was there violence? Was there stalking? Were threats made? Are you related to the person you are seeking protection from? The people at the window of the clerks office may try to help to the best of their ability, but they are not allowed to tell you what to file. I have seen people battered and bruised, tears streaming down their faces at the clerks window begging for help, but these lovely people simply are not allowed to tell you what to file. Why? Because doing so would be to give you legal advice, and even though you are tearing their hearts out, they could lose their jobs if they tell you what to do. Even here in this blog, I can not give you legal advice, because to do so could establish some sort of attorney client privilege, which could put my career in jeopardy. However, I can let you know some basics. First, Florida has a great searchable database for its statutes. If you go to www.leg.state.fl.us/statutes/index.cfm you will find an online searchable database for all of Florida's statues. From there type in the type of injunction you are planning to file. Domestic Violence? Repeat Violence? Stalking? Dating Violence? If you look at what the legislature says is required to obtain one of these injunctions for protection you will have a better idea of what to fill out and what to ask the judge. Additionally you can always meet with an attorney prior to filing, or prior to any hearing to make sure that you are getting good legal advice for the specific case that you are filing.